However, there are unprecedented challenges ahead of those merchant pioneers trying to enjoy the first-mover advantages. To be honest, no one has come up with a good strategy to conquer this region. Even for those ambitious pioneers, it’s still a headache. The segmented islands, culture difference, religions and diverse races do cause a burden on one’s business layout, making Southeast Asia a gold rush but, in the meantime, a mysterious Bermuda Triangle. By no means should one gives up simply because of harsh environment and unpredictability. Nor did I encourage those reckless moves. One should keep going and, the most importantly, learn from the previous lessons and current trends in case one makes the same mistakes predecessors had again. Consequently, this week we are going to go through crucial tips helping with business development by surveying numerous columns and business reports. The focus this week is on Malaysia. #1. The demand for 3C product, apparel and cosmetics reach historical height. The initial e-commerce development is largely boosted by airline ticket booking. Right now, people get used to go online shopping and are reliant on the internet to acquire exotic product and the latest fashion trend, Taiwanese and American culture in particular. This partially influences their choice and desire about making product purchase. Moreover, with increasing disposable income for an adult, sense toward quality outweighs price itself. They longer buy usable appliance or wearable clothes but brand image and better customer experience. #2. Metropolis and cities as a starting point for expansion. Without a doubt, the infrastructures in big cities are comparable to those in western world. Good transportation system, reliable logistics, trusted fulfillment, various payments, urban dwellers enjoy these convenience and get accustomed to it already. Company need not make huge efforts to educate customer and, instead, is able to focus more on the product and market. As a result, it is a wise idea to start one’s business in big cities. On the other hand, if you are lack of critical resources, collaborating with existing e-commerce player isn’t a bad idea either. This not only reduces the risk but also builds connections with locals, waiting for good opportunities to step out. #3. Cross border e-commerce is dominant. It is reported that cross border transaction takes forty percent of whole online shopping sales. This suggests that the non-domestic product is as competitive as local ones. It is even not exaggerated to say that people are eager for exotic product. Apart from that, the loose regulations about cross border are also the key points, making it easy for e-commerce players to enter in. Perhaps, it’s exactly the right time. #4. More and more numbers in platforms but less in sellers. More and more people are conscious of the coming of e-commerce era. They create a plenty of platforms to catch the wave and use different strategies to cater to more seller to march into. Things, however, do not go as smoothly as they forecast. People are still hesitating and wandering off to get involved. The main reasons could be complex procedures or high entry barrier. Hence, recruiting new and more sellers could be the radical issue for the following year. #5. Customer service is a key winning point. People tend to make a phone call to check the product they want to buy before they make an online purchase. It’s inevitable that the quality of a phone call possibly has an impact on whether an item is put into cart, this is especially true within Southeast Asia. In addition, language barrier is also the the problem for a foreign e-commerce player. Thus, customer service should always be one of a company’s priority if they are struggling to win a position. 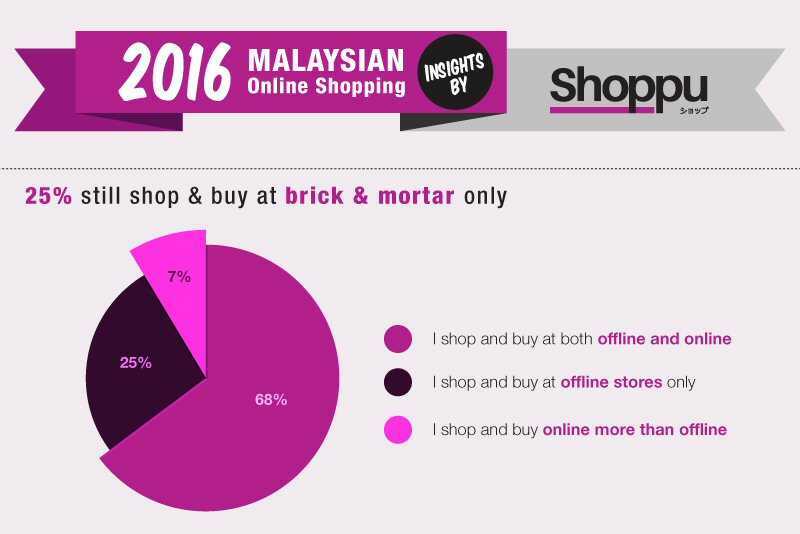 Southeast Asia is the last spot for e-commerce to grow. Truth to be told, there exist several similarities within the whole Southeast Asia region even though the backgrounds behind countries are quite complicated. Especially for purchasing behavior, they are all afraid of fraud, the trustability of online shopping. The current situation in this region also happens to be similar. Mobile first phenomenon, unsaturated and potential e-commerce markets, social networks addiction, longer internet use and gaps in smaller cities all are the features.